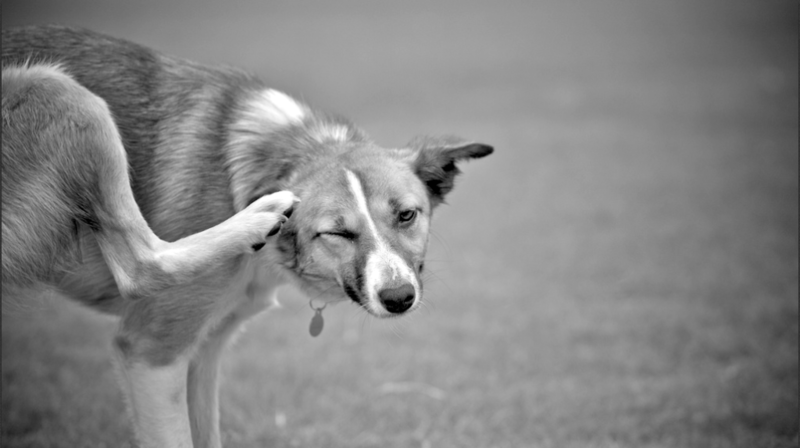 If you’ve ever had an itch that can’t be scratched or one that a scratch can’t satisfy, you understand how uncomfortable your pet with allergies can be. The stopping mid-meal, mid-play, mid-walk and mid-sleep to scratch is frustrating, irritating and downright annoying to pets and to pet parents. 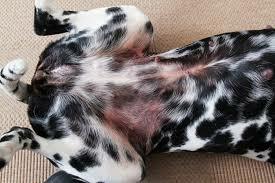 Itching and scratching are often signs of pet allergies. Here’s how to tell if your pet has allergies and four remedies to try to alleviate symptoms and heal your pet. Why do pets get allergies? Allergies develop when your pet’s immune system becomes hypersensitive. Any previously benign substance like pollen, food, mites, or grass can set off a biochemical war inside your pet’s body. The most prevalent allergies are fleabite hypersensitivity, atopic disease (environment), and food hypersensitivity or allergy. Certainly, there are other causes of allergies in pets, but these are the most common. What are the signs that your pet has allergies? You can be your pet’s best diagnostician before you seek help from your veterinarian. Write down signs of pet allergies you notice on a calendar or in a journal. Also, observe your pet’s behavior. This information will be very valuable when you do visit your veterinarian. Where on the body does the licking, chewing, and/or scratching occur? Is it year round or seasonal? How long has you dog been scratching, chewing etc.? Have there been any medical changes? Have there been any changes in diet? Treatments for pet allergies run the gamut from treating only the symptoms with anti-inflammatory drugs, antihistamines, and inhibitors to a more whole-body approach. This approach involves avoiding environmental trigger(s) (if you know them) or starting a food elimination trial that will help you determine some of the triggers. Other options include muscle testing (kinesiology), acupuncture, supplements (including herbs), and homeopathy. Treating the symptoms of pet allergies will bring your pet relief; however, trial and error with whole-body solutions can help your pet be relatively free from itching because you have uncovered the cause! That is what I call a eureka moment. Often times, if your pooch is totally miserable then a combination of treating symptoms and whole-body solutions is necessary. Remember, once the itching is under control, you can begin to pinpoint the cause(s). If you suspect your dog may be reacting to their diet, switch to a limited ingredient diet (LID). This eliminates some foods that may be causing allergic issues. When you choose the new diet, make sure you change to one that does not include the protein or carbohydrate sources you’ve been feeding your pet. Also, stop feeding the treats you’ve been giving and switch to a single protein treat, such as freeze-dried beef, turkey, duck etc. Match the treat protein with the new food protein. It will take about a week to transition to your new diet. Once you are feeding only the LID food, it will take about eight weeks for your dog to totally detox. You should see some improvement before that time and then significant progress after two months. If you don’t see many chances, try a different protein or move on to muscle testing. Originally developed for humans (NAET) this treatment course offers a great alternative to skin allergy testing. Muscle testing determines what specific imbalances or chemical sensitivities exist in the body. Using samples of various foods and from the environment, you can determine what the body does not respond well to and eliminate those triggers. Seek out a holistic vet in your area for specific treatment options. Mariposa Veterinary Wellness Center practices muscle testing in the greater Kansas City area. One of the best things we can do for outdoor or indoor environmental triggers is to mitigate them. So, if your pet has seasonal pollen or grass allergies, then bathe him or her often with a non-detergent, grain-free (no oatmeal), natural shampoo. Wipe paws off and the entire body with non-scented baby wipes or pet wipes before coming inside. You can also use a spray of organic apple cider vinegar and water, usually 1 to 2 cups of vinegar per gallon of water. Mist your pet’s entire body to reduce inflammation. The vinegar smell usually dissipates quickly. Remember to vacuum often and keep pet bedding clean of contaminates. Another investment you might consider is an air purifier, especially in the rooms where you pet spends the most time. Various articles I’ve read state that 70 to 80 percent of your dog’s immune systems is in the gut, specifically in the digestive intestinal tissue known as GALT (gut associated lymphatic tissue). If an imbalance exists and the level of good bacteria diminishes, then allergic reactions can develop (inflammation). This reaction is due to a weakened intestinal wall that allows undigested food and foreign bodies to pass through the wall directly into the blood stream. This phenomenon is known as leaky gut. You can prevent this by including raw goat’s milk or bone broth in your pet’s diet along with other fermented foods like kefir, sauerkraut, and kimchi or incorporate some probiotic and digestive enzyme supplements with your dog’s food. When you keep the proper level of beneficial bacteria in the gut, you strengthen the immune system and lessen allergic reactions. The thing to remember is that your itchy pet does not have to suffer, and they are miserable. 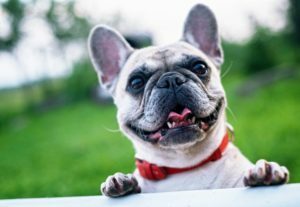 With some due diligence and patience, you can make your pet’s life happier and healthier.